Don't Let the "FROST, BITE"
into your Profits This Year! 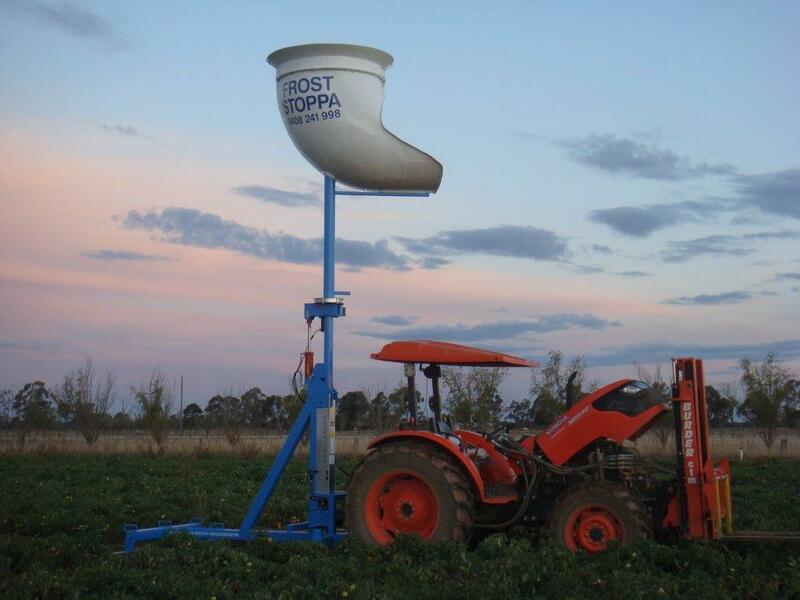 the crop zone operating through a 360 degree rotation every 3 to 4 minutes. The air duct delivers discernible air movement in a 70m radius with latent air occurring up to 90m in radius. This portable Tractor Driven model needs approximately 30-40HP @ 340 PTO revs to operate the fan speed @ 1400 rpm. This is obtainable from most 60 to 70hp tractor engine running just above idle, usually between 1200 and 1600rpm. that hydraulically folds for easy transport and storage. 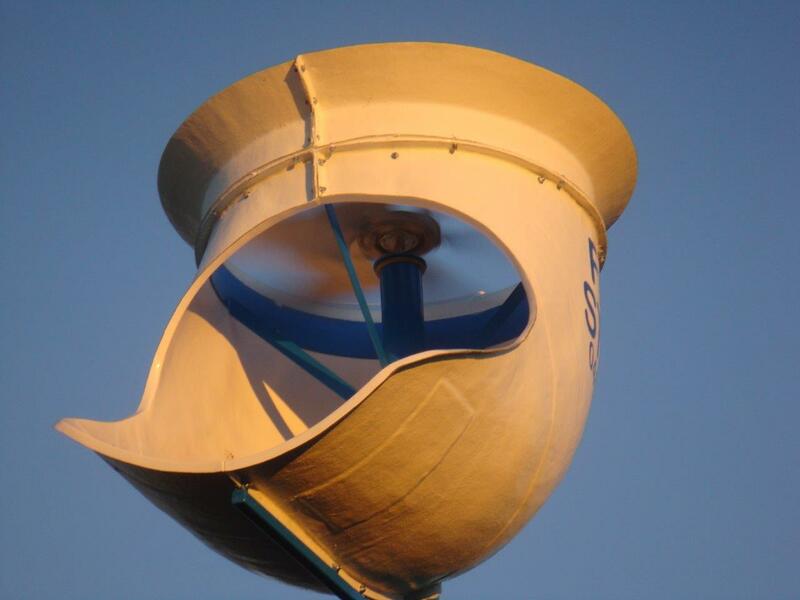 is required; the shrouded propeller provides maximum use of air and is almost noiseless, substantially lower noise levels than conventional units. 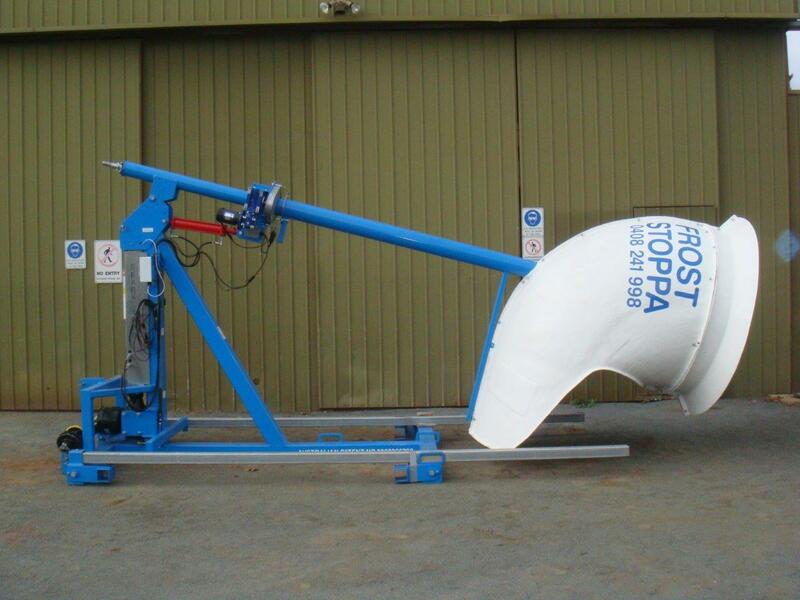 Australian, manufacture and distribution rights, for these wind machines which are patented in Australia and New Zealand. Millions of dollars in losses to viticultural & horticultural crops have occurred across many regions of Victoria and NSW caused by frost. Anyone seeking more information or wishing to reserve a machine to avoid disappointment can call Alex Carter on 0408 241 998. To avoid disappointment, please confirm your order Early to allow sufficient time for your machine to be manufactured and delivered prior to the Spring Frost Period.